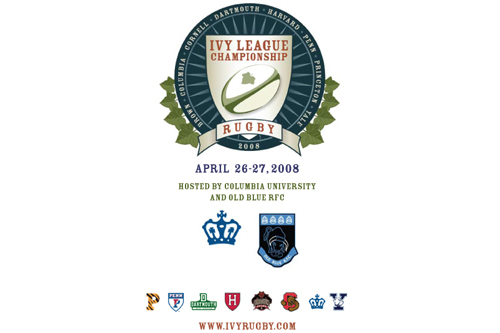 With the tournament dates set and the final arrangements being made including a full final round at the Columbia University’s Baker Field Athletic Complex in Manhattan, New York City, New York, the Ivy Championship looks to be as good as it gets for 2009. Royall Lyme and Lucky Tiger stepped up to help finance the 2008 game-day program. The program included photos, information on each of the eight Ivy programs and everything needed to navigate the 2008 event. In addition, we have added a money-making avenue to each of the eight Ivy rugby programs. For every advertising dollar raised by each Ivy school, two-thirds will be send back to their program. Download the form today for 2009. Make sure to designate your program of choice.